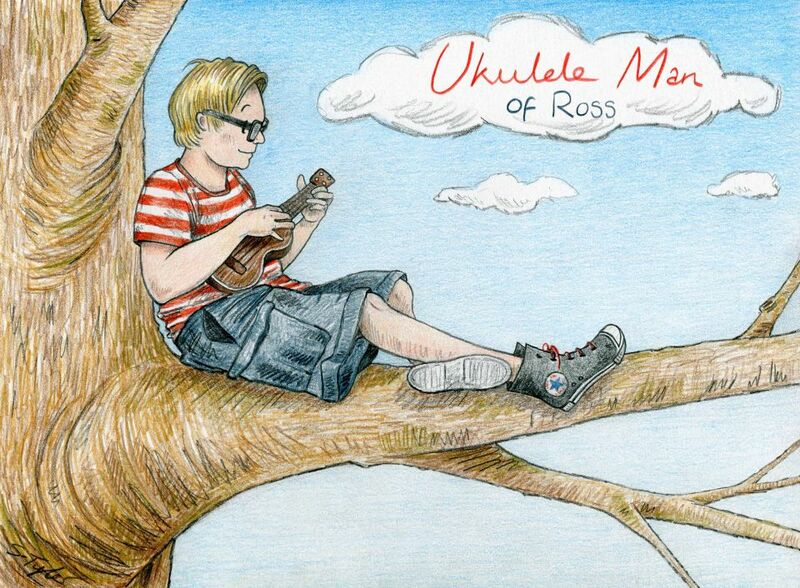 I am a professional ukulele player based in Ross-On-Wye, England. I offer a range of lessons tailored to your needs, focussed at skill levels beginner and intermediate. Whether you have never picked up a ukulele before, or you would like to brush up on your skills I can help. I can teach children and adults, individuals or groups. I am also a skilled player and can perform at functions, concerts and weddings. Below you’ll find some of the services I offer. Individual ukulele lessons in your home or mine. Beginners and intermediate. Children and adults. Lessons can be tailored to your skills level and organised to be convenient for you. I also include music theory and make it easy to understand. This always furthers people’s enjoyment of playing as they know how the music works and what they can do with it. Group lessons. Should you and your friends like to spend some fun evenings in a relaxed background learning together I can provide fun sessions and workshops for groups. School lessons. My lessons are fun, educational and above all, build children’s confidence in themselves and their music. These can be group sessions or individual lessons at your school. I am also available to lead the players in what they have been taught at assemblies and school concerts. Ukulele stories. For younger children I can visit your school and run a fun literacy based ukulele sessions where the children can sing along to their favourite stories, be it Shark in the Park, We’re Going on a Bear Hunt, or even Pants! The children will be provided with percussive instruments so that they can join in. These are really lovely sessions which help grow a children’s love of books and reading for pleasure. Inset days. I can teach some basics to school staff at inset days to help you spice up your music lessons, or as a great fun team building exercise. Team building workshops. How about a fun morning out of the office for your team or organisation. A great way to build moral and have fun at the same time. Weddings. I can tailor my playing to your needs to help make your day truly special; whether you would like to walk down the aisle to Somewhere Over the Rainbow, or perhaps have some relaxed background music at your reception, or even a fun performance of old time ukulele songs in the evening. Concerts and gigs. I can play both modern and old time songs, as well as classical pieces. I can tailor a performance around what you want, be it a fun night of 50s and 60s golden oldies, some Hawaiian standards, modern pop, classical or a mixture of all of these. Children’s birthday parties. Why not hire me to run a fun session at your child’s birthday party? They can have a riot singing along to Pants! or Shark in the Park. I’ll bring along lots of percussion so everyone can join in.